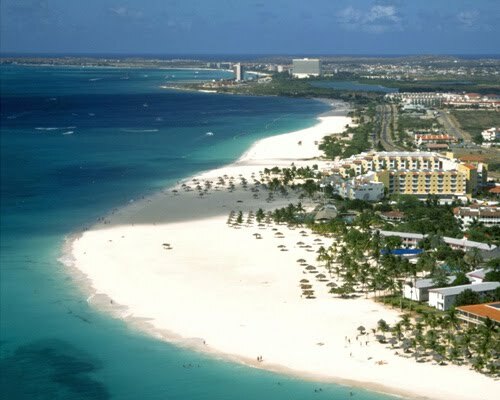 Aruba, located in the Southern Caribbean, is one of the premier tourist destinations in the area. Its pristine beaches and friendly people make the island an idyllic place for the perfect vacations. The face of Aruba in the 60th Miss World pageant is Kimberly Del Valle Kuiperi. She will have the honor of representing the one happy island at the world's greatest beauty contest. Aruba produced the ever sensational Zizi Lee in 2001 who finished as first runner-up, Aruba's highest placement in the pageant since its debut in 1964. 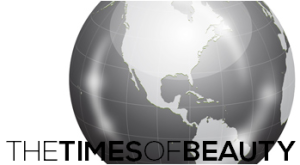 TimesOfBeauty.com proudly presents Miss Aruba World 2010 in an exclusive interview for our series Meet the Misses. My name is Kimberly Del Valle Kuiperi. I am 21 years old. I was born in Margarita Island, Venezuela. My father was Arubian and my mother is Venezuelan. At the age of 1 my father got a fantastic offer as a hotel manager at one of the most prestigious hotels on the island and from that time we made Aruba our home. My direct family consists of my mother Marilina and my brother Ralph since my father passed away in 1999. My nationality is Dutch. I finished my bachelor’s degree in Marketing at the University of Aruba last July. In my free time I do modeling, spend time with my loved ones and enjoy the perfect beaches of Aruba. I am very family oriented, I am very outgoing, compassionate and I am very determined in achieving my goals. We are known as the friendly island, where you will meet 90,000 friends you “haven’t met yet.” My island Aruba is a multicultural island that falls under the kingdom of the Netherlands. Aruba is surrounded by world renowned beaches, hospitable people and perfect weather year round. What is fascinating about my island is the safety and tranquility it has to offer. First of all it is an honor to represent my island and most of all I will have the opportunity to introduce to the world my beautiful island with its friendly and hospitable inhabitants. I have been preparing myself mentally for this tremendous challenge and opportunity. Spiritually I have been visualizing my successful representation on behalf of the people of Aruba and physically staying in good condition through fitness and proper nutrition. “Biba cu pashon” meaning living with passion, giving a 100% of yourself at all times for something that is constructive and valuable. I see myself as a happy and healthy person together with my family and as an owner of my own marketing company. None of the above options has what it takes to make a person happy. I prefer to be happy, and this means being successful, having achieved all my goals, being healthy, being a good person to others and being together with my family. My grandfather, Don Tico Kuiperi who had the first TV show called “Show time” which promoted local talent and encouraged individuals to pursue their artistic dreams. Spain; because I have always been fascinated by its people, climate and culture. Poverty. Stop all wars and redirect the money to feed the hungry worldwide! She should express her personal views on the issue in a tactful manner. I am looking forward to experience the Miss World pageant, representing my island and learn about other cultures. What I most look forward to is to learn more about the charitable organizations that the Miss World pageant promotes and helps. Being elected as Miss World is already something to admire. I admire former Miss World 1994, Aishwarya Rai. She demonstrates that even after winning the title and becoming a successful actress and a true role model in her country and the world, she still is contributing to great causes and that for me is something to admire. It means the inner beauty of a person and inner beauty means helping the poor and the less fortunate in the world. Let’s all be humanitarians and contribute to the great causes that the Miss World organization supports.